BARRY AND RICH [8 HOUR DRIVE] JUST WON THE PRESTIGIOUS INDIE MUSIC CHANNEL'S PRODUCER OF THE YEAR AWARD FOR RYAN DANIEL'S SINGLE, "LIKE AMERICA". CHECK OUT THE INDIE MUSIC CHANNEL WEBSITE AT INDIEMUSICCHANNEL.COM FOR MORE DETAILS. ALSO, CHECK OUT RYAN'S NEW ALBUM, "BACK FOR MORE" ON ITUNES, SPOTIFY AND ALL MAJOR STREAMING OUTLETS! 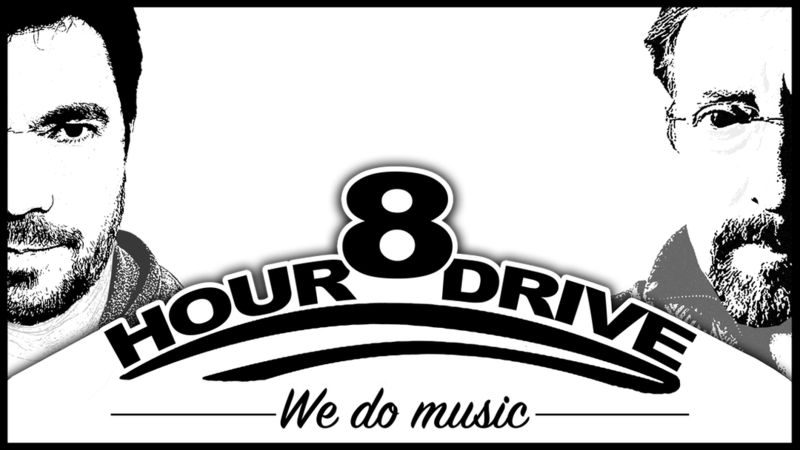 INTRODUCING 8 HOUR DRIVE, A FULL-SERVICE PRODUCTION PARTNERSHIP CAPABLE OF PRODUCING VIRTUALLY ALL GENERES OF POPULAR MUSIC. 8 HOUR DRIVE IS THE BRAIN CHILD OF POWERHOUSE PRODUCTION DUO RICH HERRING & BARRY BEST. "I’ve had the pleasure to work with Rich for over 12 years. From studio to stage, he's been key to maintaining Little River Band's reputation for high quality recordings and performances. Whether as producer, engineer, singer, guitar, or bass player, Rich consistently brings his A game to every project and show." "Barry Best is one of the most sought after arrangers, producers and musicians in the business and we felt lucky to have him work with us on our documentary. His attention to detail and superb sense for what sells have helped us as we continue to pitch this project in advanced talks with TLC, A&E and the Oprah Winfrey Network. He's the real deal." "Rich Herring is an immensely talented record producer, world class musician, and songwriter. His attention to detail, creativity, and great ears make him an asset to any project." Grammy winning songwriter for Willie Nelson, Merle Haggard, Kris Kristofferson, Kenny Chesney, Blake Shelton, Guy Clark, Miranda Lambert & many more. "Barry is a producer who will push you beyond what you think your limits are. With his artistic arrangements and vast experience, he was able to bring my vision to life. Working in his state of the art recording studio with its cozy, home feel, it is impossible not to record a great project!" "Barry, you did a wonderful job...that's not an easy situation to be in...not enough rehearsal time, clock running on the studio, additional "helpers" via Skype.... You were the picture of cool and control and I credit you personally with getting the performances we needed and making the choir sound great. You also worked tirelessly and with such a great attitude throughout that it kept the singers energy up as well. I was VERY grateful we had a pro with big ears there, and I'd be happy to work with you again." "Rich Herring is an absolute joy to work with in the writing room or in the studio! Such a talented, witty soul. I had a blast writing my single “Drinkin Out Loud” with him." "I have known Barry for many years and worked together on many projects and shows. He is at the top of his game and an amazing person and friend. His positive attitude and years of producing and arranging have made him one of the best and easiest to work with. When you work with Barry, it immediately makes you want to step up to his level and perform at your peak."